At its meeting last month in Seoul, the Nuclear Suppliers Group did not reach consensus on India’s bid to join the 48-nation group, but agreed to continue discussions on the matter. Despite a high-level lobbying effort by the U.S. and Indian governments, the 48 participating governments of the Nuclear Suppliers Group (NSG) did not reach consensus at their plenary meeting in Seoul on a controversial bid from nuclear-armed India to join the nuclear technology control body as a full-fledged member. Outgoing NSG chair Rafael Mariano Grossi of Argentina was tapped to facilitate the ongoing discussions. “I have to go back to each government about their stand, what they discussed and what they will agree too,” Grossi told The Hindu in a June 28 interview. In 2008, following heavy U.S. lobbying, the NSG agreed to exempt India from its full-scope safeguards requirement for nuclear trade with non-nuclear-weapon states. Following that decision, India concluded a number of bilateral nuclear cooperation agreements with nuclear supplier states, including Australia, Canada, France, Kazakhstan, and Russia. The issue of Indian membership in the NSG has been discussed informally within the group since 2011. Deliberations took on new urgency with the submission of a formal membership bid from India on May 15 and another from Pakistan several days later. On May 19, a call for an “Extraordinary Plenary Meeting” of the NSG was issued with “NSG Participation Process to review submissions for participation by non-NPT states” listed as an agenda item. That meeting was held in Vienna on June 9. On June 3, U.S. Secretary of State John Kerry sent a two-page letter to several states believed to be skeptical of the Indian membership bid, asking them to “agree not to block consensus on Indian admission” to the NSG, according to a report published by Bloomberg News. “India has shown strong support for the objectives of the NSG and the global nuclear nonproliferation regime and is a ‘like-minded’ state deserving of NSG admission,” Kerry wrote in his June 3 letter. Other major nuclear suppliers, including France, Russia, and the United Kingdom, support the Indian bid for membership. In a letter dated June 7, however, China’s ambassador in Vienna, Shi Zhongjun, wrote to Grossi to object to a formal discussion of the new membership bids at the June 9 meeting or at the plenary meeting in Seoul. “The NSG stands to benefit from the active participation of Indian technical specialists in helping the Group strengthen the international control of nuclear goods and technologies and help strengthen domestic controls on nuclear exports,’’ Canada’s acting high commissioner, Jess Dutton, told The Times of India on June 20. Canada is a major supplier of uranium for India and supports India’s membership bid. According to a number of NSG representatives who spoke with Arms Control Today on a not-for-attribution basis, however, the June 9 and 20-24 meetings revealed widespread concern about a “politically based” approach to allow Indian membership rather than a new criteria-based policy for considering NSG members. “The door is open for the admission of the non-NPT members. It is never closed. It is open. But the members of the NSG should stay focused on whether the criteria should be changed and whether non-NPT members should be admitted into the NSG,” Chinese Foreign Ministry spokesperson Hua Chunying told reporters at a media briefing June 21 in Beijing. In an effort to win support for its membership bid, senior Indian officials reportedly reached out to many NSG member states, including China. Indian Foreign Secretary Subrahmanyam Jaishankar arrived at the Seoul meeting June 21. Prime Minister Narendra Modi traveled to Tashkent, Uzbekistan, on June 23 for the meeting of the Shanghai Cooperation Organization where he lobbied Chinese President Xi Jinping to support Indian membership in the NSG. “China doesn’t support Pakistan or India to enter NSG until they follow rules established by members. NSG consensus is in favor of the Non Proliferation Treaty,” said Wang Qun, director-general of the arms control department in the Chinese Foreign Ministry on June 24. “The meeting on Thursday was an effort to find consensus on non-NPT state applications, but differences remain,” Wang said. A number of NSG participating governments, including some who publicly said they support Indian participation in the NSG, joined China in calling for further consultations to arrive at a consensus approach to any new membership bids, according to diplomatic sources involved in the NSG meetings. Many participating governments were weighing the potential technical and political costs of allowing one or more non-NPT states to participate in the group, according to the NSG diplomats who spoke with Arms Control Today. In 2008 the NSG agreed that the decision to except India from its comprehensive safeguards standard should not be interpreted to mean that the NSG or its members recognized that India is a nuclear-weapon state as defined by the NPT. In a statement issued June 24, Indian Ministry of External Affairs spokesperson Vikas Swarup said that “one country” raised “procedural hurdles” regarding India’s membership bid. “An overwhelming number of those who took the floor supported India’s membership and appraised India’s application positively. We thank each and every one of them. It is also our understanding that the broad sentiment was to take this matter forward,” Swarup said. India joined a voluntary regime that promotes ballistic missile transparency and was admitted to an export control regime designed to prevent the spread of ballistic missiles. India joined a voluntary regime last month that promotes transparency around ballistic missile development and was admitted to an export control regime designed to stem the spread of technologies relevant to developing missiles and unmanned systems capable of delivering weapons of mass destruction (WMDs). New Delhi announced on June 2 that it subscribed to the Hague Code of Conduct Against Ballistic Missile Proliferation. On June 27, the Dutch chair of the Missile Technology Control Regime (MTCR), Piet de Klerk, released a statement saying that the “formal procedures” for Indian membership in the regime were finalized. 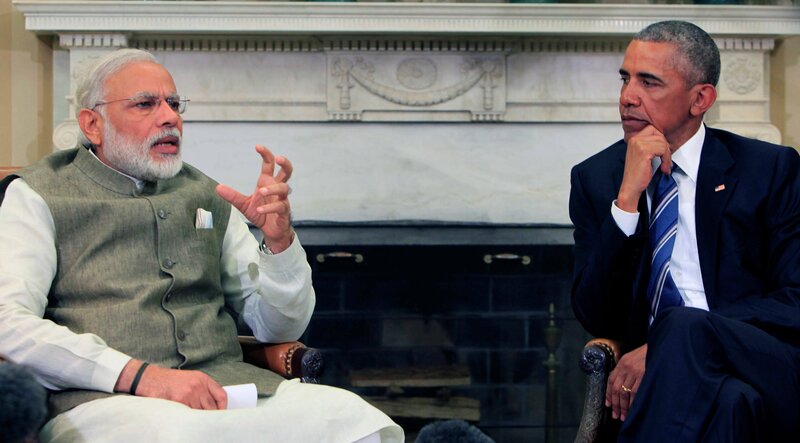 India’s membership in the MTCR was expected after a June 7 joint U.S.-Indian statement, released during Indian President Narendra Modi’s visit to Washington, said that Modi and U.S. President Barack Obama looked forward to India’s “imminent entry” into the MTCR. The Hague code of conduct is a voluntary, multilateral initiative subscribed to by 138 countries. It calls on member states “to exercise maximum possible restraint in the development, testing and deployment of ballistic missiles capable of delivering weapons of mass destruction (WMD), including, where possible, to reduce national holdings of such missiles.” States also agree not to assist other countries in the development of ballistic missile programs and to “exercise vigilance” in assisting in space launch programs, given the applicability of the technology to missiles. Any state can join the code of conduct by subscribing to the group’s principles. Participating states agree to submit pre-launch notifications and declare policies related to ballistic missile development on an annual basis. Austria serves as the administrator for the group. The MTCR is an initiative designed to prevent the spread of missiles and unmanned systems capable of delivering nuclear, biological, and chemical weapons. The regime, which was formed in 1987, defines WMD-capable delivery systems as missiles or drones capable of carrying a 500-kilogram payload a distance of 300 kilometers. MTCR members agree to consider export policy guidelines designed to limit the spread of technologies applicable to the development of WMD-capable missiles and drones. With India, the MTCR now comprises 35 member states, and new members are admitted on the basis of consensus. De Klerk’s statement said that India’s membership “will strengthen international efforts to prevent proliferation of delivery systems” capable of delivering weapons of mass destruction. An official familiar with India’s bid to join the MTCR said on June 22 that one of New Delhi’s “primary motivations” for joining these regimes is to strengthen its bid to join the Nuclear Suppliers Group (NSG). The official said that India is trying to represent itself as a “responsible member of the international community committed to countering proliferation” of weapons of mass destruction and related technologies. Despite these steps, India was not admitted to the NSG at the group’s plenary meeting in June (see page 23). The official said that the impact of India’s membership on slowing missile proliferation depends on how vigorously New Delhi adheres to MTCR export controls. India attempted to join the MTCR at the group’s last plenary meeting, in October 2015, but was blocked by Italy over an unrelated matter. (See ACT, November 2015.) At the time of application, India said its space program was suffering because it was not a member of the regime. Many technologies and materials applicable to ballistic missile development are also applicable to space launch vehicles, although the MTCR says the regime is not designed to inhibit space programs. India’s membership does not guarantee it access to sensitive technologies, and other MTCR partner countries can still deny exports because the regime’s guidelines “do not distinguish between exports to Partners and exports to non-Partners,” according to a summary on the MTCR website. Global efforts to prevent the spread of the world’s most deadly weapons depend on universal compliance with rules that constrain the transfer of nuclear technology and concrete action by nuclear-armed states to reduce, not expand, their weapons capabilities. But just a year later, Obama announced that the United States would support Indian membership in the 48-nation Nuclear Suppliers Group (NSG)—the nuclear technology control organization established in 1975 in response to India’s first nuclear weapons test blast, which used plutonium produced by a Canadian-supplied reactor using U.S.-origin heavy water. After low-level consultations on the issue within the NSG since 2011, U.S. and Indian officials have recently launched a quiet but high-level campaign for their proposal ahead of key NSG meetings this month in Vienna and Seoul. Indian membership in the NSG on the basis of an exceptional political preference rather than a common set of nonproliferation and disarmament benchmarks would produce serious, long-term damage to strategic stability in South Asia, the NSG, and the broader nonproliferation regime. Such a move would compound the damage caused by the 2008 NSG decision to make an India-specific exemption to its full-scope International Atomic Energy Agency (IAEA) safeguards requirement for nuclear trade that was pushed through by the George W. Bush administration. NSG membership currently requires that the state is a member in good standing with the nuclear Nonproliferation Treaty (NPT). India remains one of only three countries, with Israel and Pakistan, never to have signed the NPT. Based on its record, India does not meet the same standards of behavior as current NSG members, nor is it clear it shares the NSG’s core nonproliferation goals, including preventing the spread of sensitive uranium-enrichment and plutonium reprocessing technologies. India refuses to accept critical disarmament responsibilities and practices expected of responsible nuclear states, including a legally binding commitment not to conduct nuclear tests, such as signing the 1996 Comprehensive Test Ban Treaty (CTBT), halting fissile material production for weapons, and reducing, not building up, its nuclear and missile arsenals. India has actively sought to weaken the nonproliferation commitments it was required to take to receive an NSG exemption in 2008. For example, its civil-military nuclear separation plan is substandard, and its IAEA additional protocol arrangement is weaker than those of the NPT nuclear-weapon states. Although India maintains a nuclear test moratorium, leaders in New Delhi have not taken any steps toward signing the CTBT, and they have not agreed to build international nuclear test-explosion monitoring stations on Indian territory. The NSG’s 2008 India-specific exemption has given India access to international nuclear fuel markets, which has freed domestic supplies for bomb production. Pakistan has reacted by accelerating its own fissile material production capacity and deploying highly destabilizing tactical nuclear weapons. Another India-specific NSG exemption would undoubtedly move Pakistan in the wrong direction, hardening its resolve to keep pace with India’s ongoing nuclear weapons buildup. It would likely worsen China’s own NSG-noncompliant nuclear trade with Pakistan and make it more difficult to gain other states’ adherence to NSG trade control guidelines. Indian membership in the NSG would also reinforce the perception among NPT member states that the rules just do not apply to nuclear-armed states. 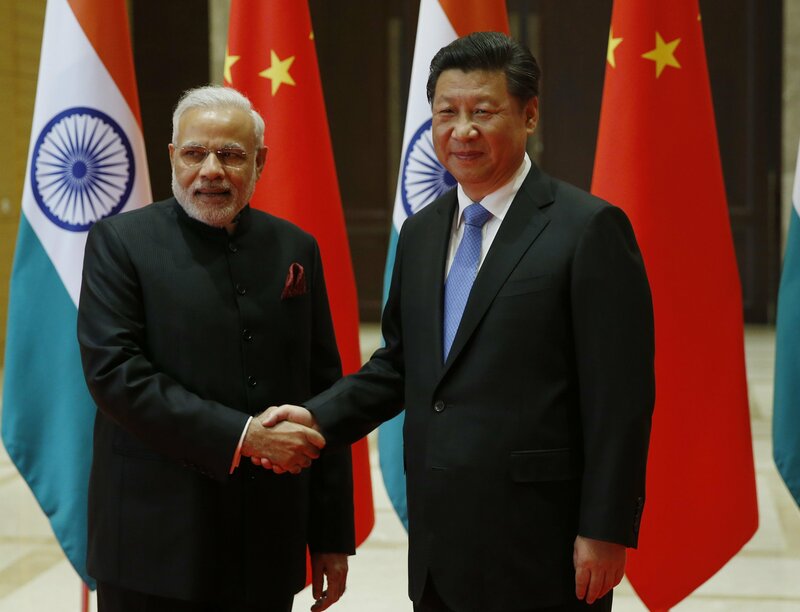 China, which insists on further dialogue on the matter and notes that NPT membership should remain the standard for NSG membership, may block India’s admittance to the group. Nonproliferation stalwarts, including Austria, Ireland, and New Zealand, may stand firm too. But that could change if the Obama team employs the strong-arm tactics used by the Bush administration against some NSG members to push through the 2008 exemption from key NSG trade guidelines. Ironically, Indian membership in the NSG would empower New Delhi to block future efforts by participating governments to ensure that India respects the nonproliferation commitments that it made in order to win the NSG’s support for that 2008 decision. If states in the NSG are to be asked to support the objective of Indian membership, it should only be as part of a broader strategy to strengthen the global nuclear order. Anything less represents an irresponsible disregard for long-standing nonproliferation principles. Ahead of this month’s meeting of the 48-nation Nuclear Suppliers Group (NSG) in Seoul, U.S. President Barack Obama and Indian Prime Minister Narendra Modi have launched a high-level push to secure consensus for India’s membership in the body over the objections of several member states, including China. Obama first expressed support for Indian membership in the NSG in a November 2010 joint statement with Prime Minister Manmohan Singh. Since then, the NSG has discussed whether and how to revise its membership criteria with the view toward determining whether India meets the revised criteria. 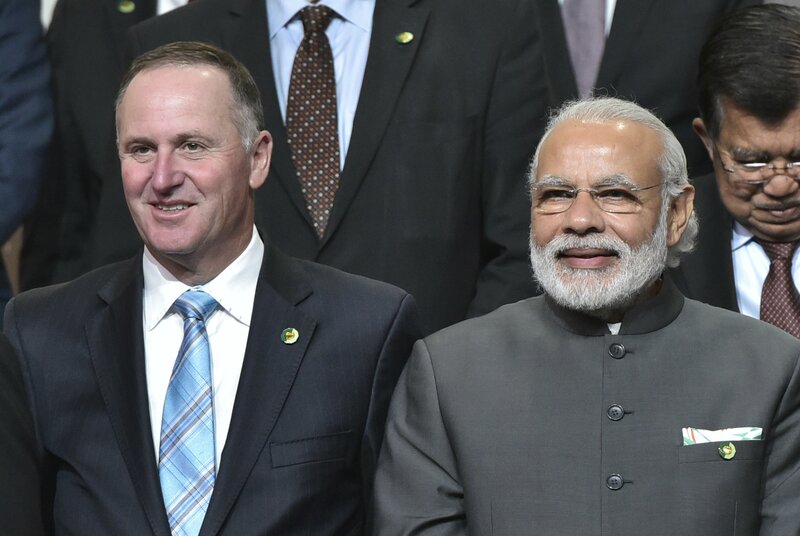 Within the past year, Modi and other Indian officials have met with the leaders of NSG member states, including Ireland and New Zealand, that originally opposed an India-specific exemption to NSG nuclear trade rules in order to make the case for India’s membership bid. India would be the first member of the NSG that is not a party to the nuclear Nonproliferation Treaty (NPT). A key criterion for membership in the group is that the country is a party to and complying with the NPT or a nuclear-weapon-free-zone treaty. The NSG was established in 1975 in response to India’s 1974 nuclear weapon test, which was fueled with plutonium produced by a Canadian-supplied reactor in violation of peaceful nuclear use assurances. 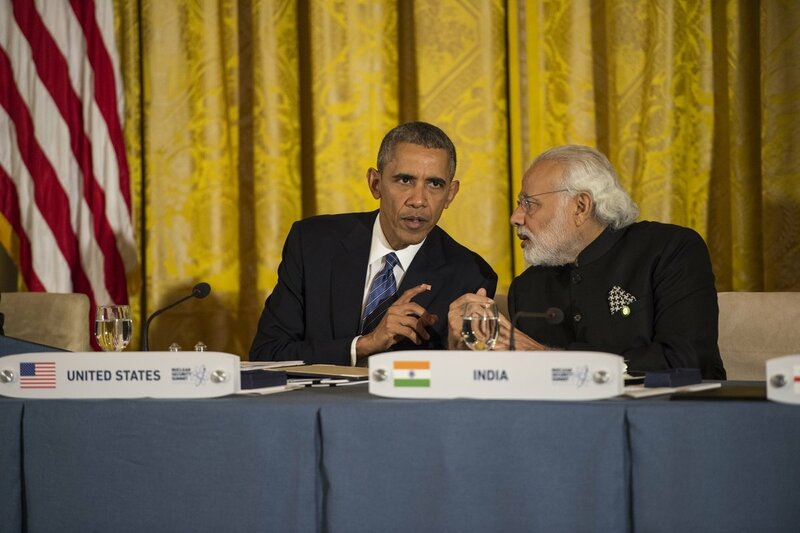 Obama administration officials have argued that Indian membership in the NSG would give India more of a stake in the nonproliferation regime. But critics, including Sen. Edward Markey (D-Mass. ), who spoke out against the proposal during a Senate Foreign Relations Committee hearing on May 24, counter that India still does not meet the NSG’s membership criteria and that the administration is not pressing for further nonproliferation commitments from New Delhi in return for the benefits of NSG membership. On May 13, Chinese Ministry of Foreign Affairs spokes-person Lu Kang made public Beijing’s view that “NPT membership” is a necessary qualification for membership. “Not only India, but also many other non-NPT members have voiced their aspirations to join the NSG. Many NSG members, China included, think that this matter shall be fully discussed and then decided based on consensus among all NSG members in accordance with the rules of procedure of the NSG,” Kang said. In response to the Indian bid for NSG membership, Pakistan’s foreign secretary, Aizaz Chaudhry, told a senior U.S. official on May 17 that his country has the “credentials” to join the NSG. On May 20, Pakistan’s ambassador in Vienna sent a letter to the chair of the NSG to formally apply for NSG membership. If the NSG cannot reach consensus at its June meeting, sources suggest the matter may be taken up at a follow-on meeting in September. India’s ballistic missile submarine successfully completed sea trials in February, putting India on the verge of having a nuclear triad. India’s ballistic missile submarine completed its sea trials in late February and is ready to be commissioned, an Indian official said last month. 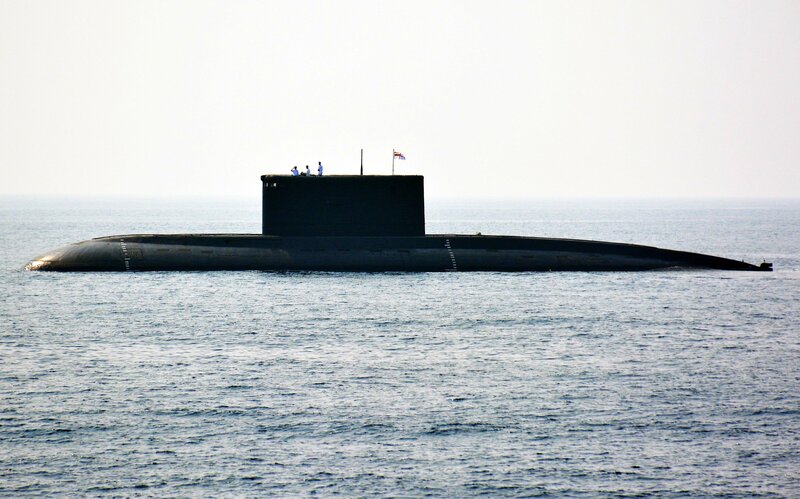 In an interview with Arms Control Today, the official confirmed reports that the submarine, the INS Arihant, had successfully completed deep-sea and weapons drills, which were the last remaining tests. The official did not elaborate on what was included in the Arihant tests, but generally these tests could include testing the submarine’s equipment and systems at maximum depths and its ability to surface quickly. In the March 19 interview, he said that the commissioning could take place within the next month. The official said that India’s navy will operate the submarine but it will be under the control of the Nuclear Command Authority. India’s nuclear weapons are under civilian control, with the prime minister acting as chair of the authority, which is responsible for all operational and command decisions regarding India’s nuclear warheads. India is estimated to have between 110 and 120 nuclear warheads, with enough fissile material for up to an additional 60 weapons. 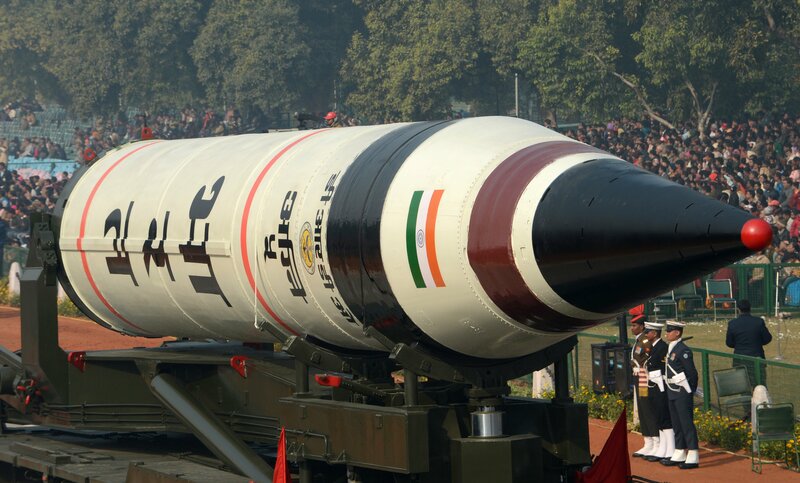 India is believed to keep its nuclear warheads stored separately from its delivery systems. That will not be possible for deployed submarine-launched ballistic missiles (SLBMs). The Arihant-class submarine is designed to carry 12 K-15 SLBMs or four K-4 ballistic missiles. The K-4 is an intermediate-range ballistic missile that can carry a nuclear payload 3,000 to 3,500 kilometers. That range puts Pakistan and most of China within range if India launches the K-4 from the northern Indian Ocean. The K-4 is believed to require additional testing before it is ready for deployment. The New Indian Express reported that India conducted a test of the K-4 on March 7. According to the story, the missile was launched from an undersea platform in the Bay of Bengal. Commissioning of the Arihant will complete India’s nuclear triad, meaning that the country will be able to deliver nuclear warheads from bombers, land-based ballistic missiles, and submarines. India is working on extending the range and increasing the accuracy of its land-based ballistic missiles. On March 5, India’s Defence Research and Development Organisation (DRDO) said it would test its Agni-5 ballistic missile from a canister around March 15. As Arms Control Today went to press, the launch had not taken place. The Agni-5 is a three-stage, solid-fueled ballistic missile capable of carrying a nuclear payload over a distance of more than 5,500 kilometers, the threshold for an intercontinental ballistic missile. It is the longest-range missile under development in India. Launching from a canister makes the missile more mobile. India successfully tested the Agni-5 from a canister in January 2015. (See ACT, March 2015.) At the time of that test, officials said that the missile was close to deployment. Officials subsequently hinted that future tests might include multiple warheads that could be independently targeted. The Agni-5 was first tested in April 2012. The global nonproliferation regime faces a major challenge in South Asia. India and Pakistan, two nuclear-armed states locked in an intense and enduring rivalry, are investing heavily in their respective nuclear arsenals and deploying new delivery systems at an alarming rate. At the same time, both countries are seeking entry into the club of responsible stewards of nuclear capability. Yet, the international community has been unwilling to find a pathway to confer de jure nuclear-weapon-state status on Islamabad and New Delhi, leaving the door to nuclear normalization shut. The arms race gripping India and Pakistan is part and parcel of what some scholars describe as the second nuclear age.1 This new age is significantly different from the Cold War era referred to as the first nuclear age. It is characterized by geographically linked nuclear-armed states that are involved in varying levels of ideological rivalries and unresolved disputes, which have been exploited by violent religious extremists.2 In its current shape, the global nonproliferation regime is ill equipped to tackle the complexities of this second age wherein three regions—the Middle East, South Asia, and East Asia—are subject to potential instability and home to nuclear-armed states that are in defiance of the nonproliferation regime. This article focuses on South Asia, where the potential for a sudden Indian-Pakistani military crisis is profound, conventional and nuclear force postures are evolving rapidly, and a sense of discrimination persists regarding the nuclear world order. In part, these factors are exacerbating the Indian-Pakistani rivalry and driving further noncooperation with the global nonproliferation regime. For 40 years, Islamabad and New Delhi have refused to join the nuclear Nonproliferation Treaty (NPT) and continued to build their arsenals while the international community has exhausted its diplomatic efforts and tools, including sanctions, to reverse, contain, or dampen the Indian-Pakistani arms race. This continued friction has had negative consequences for international security. It is high time for the international community to bury the hatchet by finding a pathway to bring South Asia into the global nuclear order. Doing so would temper the Indian-Pakistani arms race by creating powerful incentives for Islamabad and New Delhi to conform to the behavioral norms and legal obligations expected of nuclear powers. The NPT, which entered into force in 1970, offered a grand bargain to countries willing to eschew nuclear weapons acquisition by promising them access to verifiably peaceful nuclear technology and a “good faith” pledge from the nuclear-weapon states (China, France, the Soviet Union, the United Kingdom, and the United States) to reduce if not eliminate their nuclear weapons stockpiles.4 India, Pakistan, and Israel—now de facto nuclear-armed states—did not accept the treaty and are generally described as outliers from an NPT standpoint. India, for its part, decried the treaty as a form of nuclear apartheid wherein the currency of power was the preserve of the five privileged countries that wielded their veto power in the UN Security Council to jealously guard their nuclear monopoly. Proponents of this view painted the nuclear issue in populist terms—a dispute between nuclear haves and have-nots. Moreover, India aspired to be treated as a global power, as it still does. It desires to be in the elite club of haves on par with China and loathes being lumped with Pakistan as a nuclear outlier. Meanwhile, India and Pakistan saw export control regimes—the NSG, the MTCR, the Australia Group on chemical and biological weapons, and the Wassenaar Arrangement on conventional weapons and dual-use goods and technologies—as Western cartels aimed at denying technology to the Communist bloc and developing world alike, which deepened their perception of the NPT as a form of nuclear apartheid. Islamabad took particular umbrage at the NSG. Formed in the mid-1970s in response to India’s 1974 test of a nuclear device, the NSG had an immediate impact on Pakistan’s nascent nuclear program, which became a test case for the control regime’s effectiveness and heightened Islamabad’s sense of nuclear discrimination. In addition, the establishment of the NSG prompted a cat-and-mouse game between Pakistani procurement efforts and NSG efforts to block them, a dynamic that contributed to the genesis of the Abdul Qadeer Khan proliferation network. In sum, India seeks to match China at the global level, and Pakistan seeks to match India at the regional level. This has transformed security dynamics in Asia into a security “trilemma,” in which arrangements to apply strategic restraint are becoming problematic.6 In any event, the intertwined arms race in South Asia warrants a more inclusive nonproliferation regime that encourages India and Pakistan to conform to prevailing nuclear norms rather than challenge them, as both states did in the last century. Confronting a bilateral relationship characterized by a heavily militarized border, major territorial disputes, cross-border terrorist activity, and rapid advancements in nuclear arsenals and delivery systems, the international community should make every effort to discourage arms racing. Nuclear normalization is one path that could temper the security competition between India and Pakistan. Dogmatically rigid adherence to the antiquated nonproliferation regime of five—and only five—nuclear-weapon states simply confines India and Pakistan to a perpetual “outlaw” status that opens the door to unchecked arsenal buildups. The time has come for the regime to break with the status quo in favor of a new approach characterized by flexibility and accommodation for responsible nuclear outlier states. Several experts have argued for a criteria-based model for legitimizing nuclear outlier states and bringing them into the nonproliferation regime.7 The premise of a criteria-based approach is that it is inherently nondiscriminatory and thereby allows all non-NPT states a way to undertake the obligations that other members of the treaty have assumed. Such an approach would proscribe making special exceptions for commercial interests and engaging in the politics of alliances and balancing—criticisms that Pakistan frequently levies against the U.S.-Indian nuclear deal. Another argument for a criteria-based model derives from the combined threat of global terrorism and fear of nuclear accidents such as the March 2011 meltdown at the Fukushima Daiichi nuclear power plant. These concerns have diminished the promise of a nuclear energy renaissance and placed greater emphasis on nuclear safety and security. 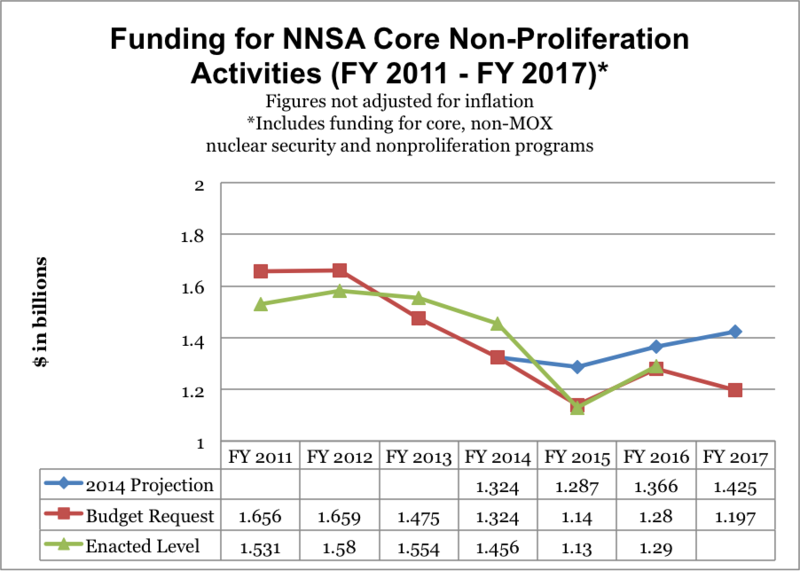 Bringing nuclear outlier states into the nonproliferation regime would allow them to undertake more-robust safety and security measures, pursue closer relationships with nuclear regulatory authorities, and receive better technical assistance from the West. At the time the U.S. nuclear deal with India was contemplated, there existed no established criteria for nuclear normalization. In making its argument for the lifting of international sanctions, India cited its democratic governance; its good proliferation track record, at least compared to Pakistan, whose reputation was tarnished by the A.Q. Khan scandal; and the promise of nuclear purchases from the international market. For New Delhi, a nuclear deal also was seen as a tool for bolstering India’s case for eventual membership in the NSG. India and Pakistan could meet most of the eligibility requirements, but may find it difficult to agree to all of the expected concessions due to the salience of nuclear weapons in their respective national security policies and the domestic political unpalatability of compromising too much of what each state might think is its “minimum credible deterrence” requirements. For example, the two states may still resist signing the Comprehensive Test Ban Treaty (CTBT) or ceasing production of fissile material for weapons. Furthermore, meeting the eligibility requirements alone is insufficient to attain membership in the club. Accession will require political negotiations with major powers and states that are members of the export control regimes, as each member state may have individual concerns that may preclude consensus even if India and Pakistan fulfill all the eligibility requirements. To gain international support for their formal entry into the NSG, the two countries would certainly be required to make concessions and accept restraints on their nuclear weapons programs. India will likely encounter fewer political hurdles because it has already passed the test once. Furthermore, India has defense and economic ties with major NSG member countries. Pakistan, in contrast, has a steep hill to climb in order to garner international support. Additionally, given Pakistan’s proliferation record and its internal instability, the West would likely seek greater concessions and restraints than it required of India, which Islamabad may find difficult to accept. Although Pakistan demands equitable treatment, most states see India in a different league as a major power and Pakistan as a regional albeit strategically important country. On balance, India has the edge over Pakistan with respect to criteria-based NSG membership. This would be nightmarish for Pakistan because Islamabad calculates and New Delhi realizes that once India becomes a member of the NSG, the door for Pakistani entry might well be permanently shut because India could block consensus on admitting Pakistan. Sidelining Pakistan from the NSG in such a way would serve only to undermine regional stability.16 It would deepen Islamabad’s sense of indignity and strengthen the position of domestic stakeholders seeking to diversify and expand Pakistan’s nuclear arsenal. Accordingly, as much as a criteria-based approach makes sense from the standpoint of fairness and equality, developing political consensus for normalizing nuclear relations with India and Pakistan would require bilateral or multilateral negotiations. Another model for normalization is for the United States to engage in bilateral negotiations with Islamabad and New Delhi on separate tracks. The goal would be to extract commitments on arms control and strategic restraint from both capitals. In return, the United States would pledge full support for Indian and Pakistani membership in the NSG and other export control regimes. Although this would be a painful and uncertain process, the United States has demonstrated, in the case of India, that a bilateral nuclear deal can be struck with an outlier state through sustained diplomacy, patience, and political will. Admittedly, the U.S. experience of negotiating with Islamabad and New Delhi on separate tracks to achieve the same outcome has not proven successful in the past. Following the 1998 Indian and Pakistani nuclear tests, President Bill Clinton assigned Deputy Secretary of State Strobe Talbott to lead separate negotiations with the two countries, which then were under sanctions. The goal was to get the sanctions removed and bring relations back to normalcy. Predictably, the negotiations stalled, as neither of the two South Asian countries knew what the other had conceded or negotiated. 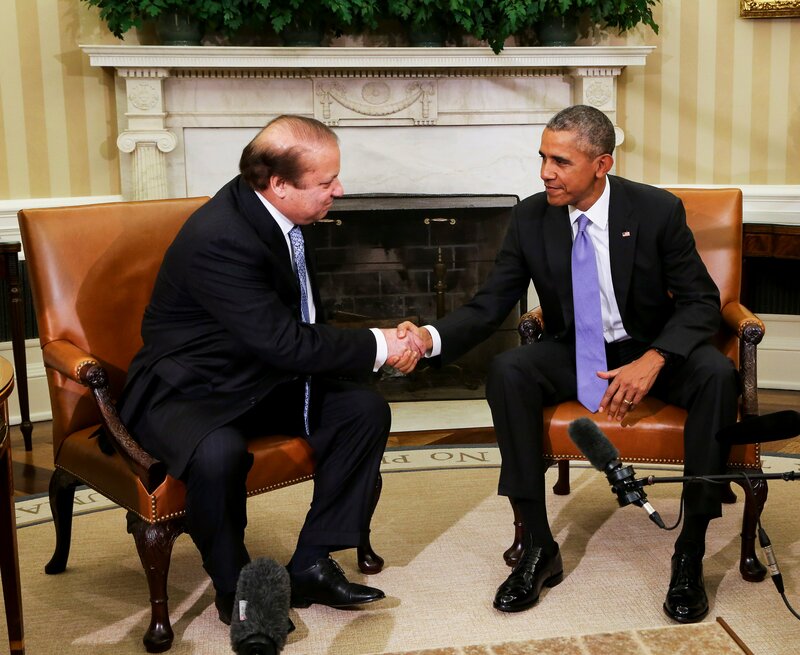 Although the U.S.-Pakistani relationship has been turbulent in recent years, especially since 2011, it currently is on a positive trajectory, albeit with a degree of underlying suspicion and distrust.17 Since 2012, the United States has been engaged in several levels of strategic dialogue with Islamabad, including discussions on charting a path to nuclear normalization. In the fall of 2015, various U.S. media outlets reported that the Obama administration was contemplating a nuclear deal with Pakistan.18 The Indian and Pakistani prime ministers also were scheduled for official visits to the United States in this time frame. Islamabad and New Delhi reacted strongly to these press reports. The ensuing uproar over a supposed U.S.-Pakistani deal forced the Obama administration to clarify that no such agreement was on the table for Islamabad. It also is likely that negative reactions from both capitals were influenced by the publication of two think tank reports in 2014-2015 proposing road maps to Pakistani normalization.19 New Delhi’s reaction was predictable. A nuclear deal for Pakistan would pull Islamabad out of the hole in which it found itself after the A.Q. Khan episode. Such a renewal of relations would run counter to India’s policy of diplomatically isolating Pakistan. There were several variations of this negative reaction in Pakistan. One school of thought was based on the belief that the United States is bent on Pakistani disarmament, by force if necessary, and is applying pressure to that end. This theory has existed in Pakistan for some time, but gained traction following the 2011 U.S. commando raid in Abbottabad that killed Osama bin Laden. Pakistani media often portray this theory as if it were official U.S. policy. The second, less widely held shade of opinion was that the United States had adopted an approach reminiscent of the “cap and roll back” policy of the early 1990s. At that time, Islamabad was under nuclear sanctions under U.S. nonproliferation laws. For some years, the United States sought to cap Pakistan’s production of highly enriched uranium and then roll back the country’s capacity to produce more. In other words, sanctions were being employed as leverage to persuade Pakistan to compromise on its nuclear program. Islamabad, however, was unwilling to comply after having paid the price of nuclear defiance, which included economic sanctions, denial of a modern military capability, and diplomatic opprobrium. The U.S. policy turned out to be counterproductive. 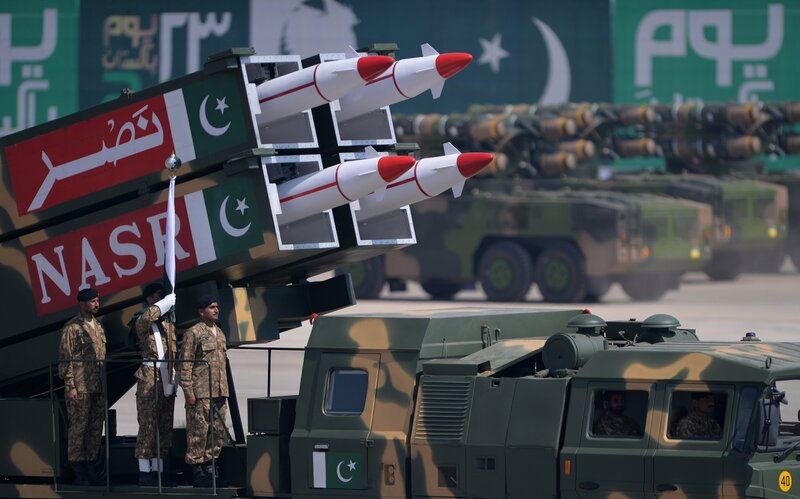 Rather than reversing its nuclear program, Pakistan stepped up production of fissile material and diversified its delivery vehicles by acquiring missiles and missile technology. Although the U.S. policy ultimately failed to dissuade Islamabad, the psychological impact of that period continues to linger in some quarters in Pakistan. The third shade of reaction was that the United States was pressuring Islamabad to weaken its deterrence posture against India. This school of thought champions Pakistani defiance against any concessions on nuclear matters and is deeply rooted in Pakistani society. The third approach toward normalization is to engage in multilateral negotiations with India and Pakistan. Multiparty negotiations have seen recent success in the case of the Iran nuclear deal, but in the Indian-Pakistani case, the focus of the talks would be normalization rather than disarmament. There are several advantages to a multilateral approach. First, it would involve all stakeholders and influential members of the international community, as was the case with the Iran deal. Second, it would not involve opaque, separate-track dialogues such as those during the Talbott negotiations that followed the 1998 tests. Third, its inclusive nature would make it more difficult for critics to allege favoritism—for example, that China is supporting Pakistan and the United States supporting India. Finally, this approach can be pursued in tandem with the criteria-based and bilateral approaches. New Delhi, however, historically has opposed the multilateralization of what it considers to be strictly bilateral issues between India and Pakistan, such as the Kashmir dispute. For the reasons explained above, India would prefer the bilateral approach in this case. Yet, China and Russia recently set a precedent in the Shanghai Cooperation Organization (SCO) regarding Indian and Pakistani membership. The two South Asian countries were observers to the SCO, but both were seeking full membership in the organization.23 China opposed Indian entry unless Pakistan was included; Russia opposed Pakistan. After years of discussions and bilateral talks, China and Russia recently agreed to the simultaneous entry of India and Pakistan into the SCO. That model could be one way to break the gridlock surrounding Indian and Pakistani membership in the NSG. 1. India and Pakistan are treated as normal nuclear states that possess nuclear weapons for national security reasons. Both states should formally reiterate that their nuclear capabilities are exclusively for defensive deterrence purposes. 2. The international community recognizes that nuclear legitimacy for Islamabad and New Delhi is an important step in curtailing the Indian-Pakistani arms race. Normalization would encourage nuclear stability, security, and safety and would induce the cooperation between the two countries that was described in the 1999 Lahore memorandum of understanding. 3. The two states agree to separate their civilian and military nuclear programs and fuel cycles cleanly and completely and to place the facilities declared as civilian under internationally agreed safeguards. 4. The two states agree to keep nuclear weapons on their lowest alert status, with nuclear warheads separated from their delivery vehicles. 5. The two states agree to adopt the highest global standards of nuclear security and safety and seek maximum assistance in this area from international organizations and countries with advanced nuclear programs. 6. The two states agree to commence a sustained bilateral dialogue for peace and security with a view toward negotiating and implementing a mutually acceptable arrangement for strategic restraint. 7. The two states agree to facilitate rather than obstruct the commencement of a global FMCT, maintain their nuclear testing moratorium, and pledge to join the CTBT. India and Pakistan have come a long way in the nearly two decades that have followed the 1998 nuclear tests. It is time for the global nonproliferation regime to open the door to a normal nuclear South Asia and for India and Pakistan to address the international community’s legitimate concerns over their respective arms buildups. As it is, India continues to build capabilities for power projection to match China, while Pakistan is building its capacity to balance against India. The interconnected nature of this strategic competition has the potential to create instability given the volatile nature of regional politics and probability of sudden crises that could rapidly escalate to nuclear deployment and possible use. There is a need for a global initiative that could break this gridlock and move away from international trends by incentivizing the two countries to enter into negotiations for an acceptable place in the world nuclear order. For the reasons discussed in this article, the most promising approach is a process of multilateral negotiations that establishes criteria that India and Pakistan must meet and involves political negotiations. The goal would be to bring India and Pakistan into the global export control regimes, most notably the NSG, and eventually give the two countries “associate” membership in the NPT as de facto nuclear-weapon-possessing states. This status would not make India and Pakistan full members as NPT nuclear-weapon states, but would recognize the steps taken by an outlier country to undertake all obligations and adopt practices and polices as if it were a de jure NPT nuclear-weapon state. A notional timeline for this process would be as follows: India and Pakistan are allowed into the NSG and other export control regimes within the next four years and thus provided with an opportunity to demonstrate responsible stewardship of nuclear capability. The 50th anniversary of the NPT’s entry into force, in 2020, would be a propitious moment for the nuclear nonproliferation regime to have solved the issue of the outlier states. Although this article focused on India and Pakistan because of the intensity of their strategic competition, the principle and pathway suggested here could apply to Israeli membership as well. Bringing these outlier states into the fold of the global nonproliferation regime would significantly strengthen the regime while providing the states with incentives to undertake responsible stewardship of nuclear weapons for the benefit of international security. 1. Paul Bracken describes the emergence of new nuclear powers in the post-Cold War period as the “second nuclear age.” Paul Bracken, The Second Nuclear Age: Strategy, Danger, and the New Power Politics (New York: Times Books, 2012). See also Ashley Tellis, Abraham Denmark, and Travis Tanner, eds., Strategic Asia 2013-2014: Asia in the Second Nuclear Age (Washington DC: National Bureau of Asian Research, 2013). 2. Gregory D. Koblentz, “Strategic Stability in the Second Nuclear Age,” Council on Foreign Relations, Council Special Report, No. 71 (November 2014). 3. A memorandum of understanding was part of the Lahore Declaration of 1999, which was signed by Prime Ministers Atal Bihari Vajpayee of India and Nawaz Sharif of Pakistan on February 21, 1999. This was the first bilateral agreement between India and Pakistan after the nuclear tests. The memorandum commits the two sides to discussing security doctrines, arms control, and confidence-building measures to ensure stability. See Toby Dalton, “Beyond Incrementalism: Rethinking Approaches to CBMs and Stability in South Asia,” in Deterrence Stability and Escalation Control in South Asia, ed. Michael Krepon and Julia Thompson (Washington, DC: Stimson Center, 2013), pp. 187-208. 4. Michael Mandelbaum, “Lessons of the Next Nuclear War,” Foreign Affairs, No. 74 (March/April 1995). 5. For a comprehensive study of the nuclear strategies and force postures of India and Pakistan, see Vipin Narang, Nuclear Strategy in the Modern Era: Regional Powers and International Conflict (Princeton, NJ: Princeton University Press, 2014). 6. The term “security trilemma” is attributed to Linton Brooks and Mira Rapp-Hooper. Linton Brooks and Mira Rapp-Hooper, “Extended Deterrence, Assurance, and Reassurance in the Pacific During the Second Nuclear Age,” in Strategic Asia 2013-2014: Asia in the Second Nuclear Age, ed. Ashley Tellis, Abraham Denmark, and Travis Tanner (Washington DC: National Bureau of Asian Research, 2013). 7. See Pierre Goldschmidt, “NSG Membership: A Criteria-Based Approach for Non-NPT States,” Carnegie Endowment for International Peace (CEIP), May 24, 2011, http://carnegieendowment.org/2011/05/24/nsg-membership-criteria-based-approach-for-non-npt-states; Toby Dalton, Mark Hibbs, and George Perkovich, “A Criteria-Based Approach to Nuclear Cooperation With Pakistan,” Carnegie Endowment for International Peace Policy Outlook, June 22, 2011, http://carnegieendowment.org/files/nsg_criteria.pdf. 8. Mark Fitzpatrick, Overcoming Pakistan’s Nuclear Dangers (London: International Institute of Strategic Studies, 2014), pp. 159-164. 9. Toby Dalton and Michael Krepon, “A Normal Nuclear Pakistan,” Stimson Center and CEIP, 2015, http://carnegieendowment.org/files/NormalNuclearPakistan.pdf. 10. Baqir Sajjad Syed, “Ex-Envoy Sheds Light on Mystery About Failure to Block IAEA India-Specific Deal,” Dawn, December 19, 2015. 12. The latest Nuclear Threat Initiative (NTI) Nuclear Security Index has introduced two additional factors—sabotage and cybersecurity—in developing the index criteria. See “The 2016 NTI Nuclear Security Index: Theft and Sabotage,” n.d., http://ntiindex.org/behind-the-index/about-the-nti-index/. 13. Fitzpatrick, Overcoming Pakistan’s Nuclear Dangers. 14. For a detailed discussion of this issue, see Mark Hibbs, “Toward a Nuclear Suppliers Group Policy for States Not Party to the NPT,” CEIP, February 12, 2016, http://carnegieendowment.org/2016/02/12/toward-nuclear-suppliers-group-policy-for-states-not-party-to-npt/itxg. 16. “Nuclear Discrimination Impacting Regional Security, Says Pakistan,” The News (Pakistan), February 13, 2016. 18. David Ignatius, “The U.S. Cannot Afford to Forget Afghanistan and Pakistan,” The Washington Post, October 6, 2015; David Sanger, “U.S. Exploring Deal to Limit Pakistan’s Nuclear Arsenal,” The New York Times, October 15, 2015. 21. “Pakistan Developed Tactical Nukes to ‘Deter’ India: Foreign Secretary Aizaz Chaudhry,” Press Trust of India, October 20, 2015, http://indianexpress.com/article/world/neighbours/pakistan-developed-tactical-nukes-to-deter-india-aizaz-chaudhry/. See also “Pakistan With ‘Tactical Nukes’ Ready to Counter Indian Aggression: Aizaz,” The International News (Pakistan), October 20, 2015. 22. For a Pakistani perspective, see Mark Fitzpatrick, Overcoming Pakistan’s Nuclear Dangers (citing Adil Sultan, “Pakistan’s Emerging Nuclear Posture: Impact of Drivers and Technology on Nuclear Doctrine,” Institute of Strategic Studies, Islamabad, April 17, 2012). For U.S. perspectives, see David O. Smith, “The U.S. Experience With Tactical Nuclear Weapons: Lessons for South Asia” in Deterrence Stability and Escalation Control in South Asia, ed. Michael Krepon and Julia Thompson (Washington, DC: Henry L. Stimson Center, 2013), pp. 65-92; David J. Carl, “Pakistan’s Evolving Nuclear Weapons Posture,” The Nonproliferation Review, Vol. 21, Nos. 3-4 (September-December 2014): 317-336. 23. The Shanghai Cooperation Organization is a regional organization led by China and Russia and involving six Central Asian states. Its objective is to enhance economic cooperation and combat terrorism, separatism, and extremism. For details, see Asia Regional Integration Center, “Shanghai Cooperation Organization (SCO),” n.d., https://aric.adb.org/initiative/shanghai-cooperation-organization. Feroz Hassan Khan is a lecturer in the Department of National Security Affairs at the U.S. Naval Postgraduate School in Monterey, California. He is a former director of arms control and disarmament in Pakistan’s Strategic Plans Division and is the author of Eating Grass: The Making of the Pakistani Bomb (2012). The views expressed in this article are those of the author and may not represent the position of any government.